Sign up to become a NuSpace member and get updates on our events in Singapore! 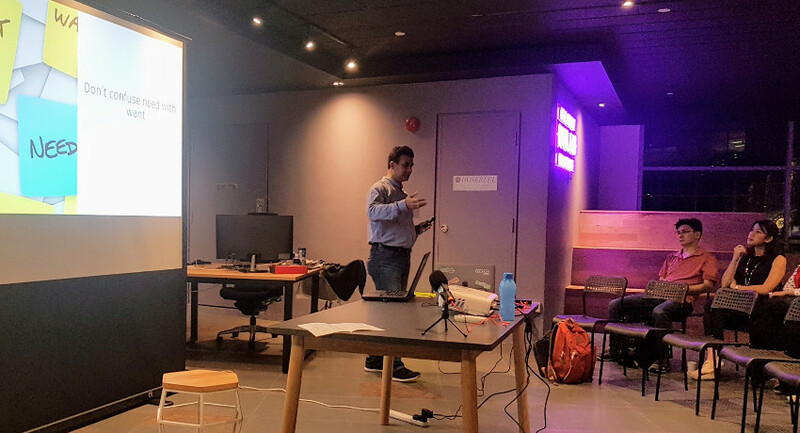 In September, our Nulab Drinking Code meetup in Singapore featured the theme of Agile and we invited three speakers from different industries to share their knowledge and experience of Agile in their respective fields. Isman Tanuri, Marketing & Business Agility Trainer and Coach at Elisan Partners. Nabayan Roy, Product Owner & Principal Learning Experience Designer at Autodesk Asia. 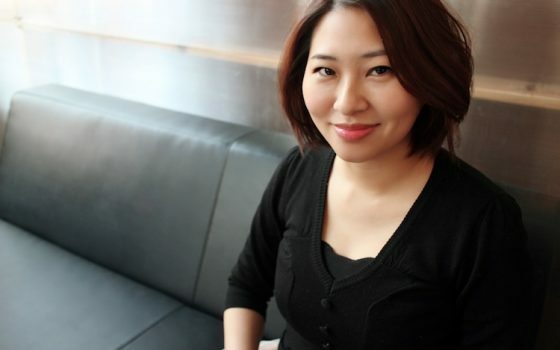 Michelle Loke, Head of Digital Services & Engagement at AXA Singapore. #Talk 1: When Product Owners Are Motivated by the Why, Not Just the What, Magic Happens! – by Nabayan Roy. 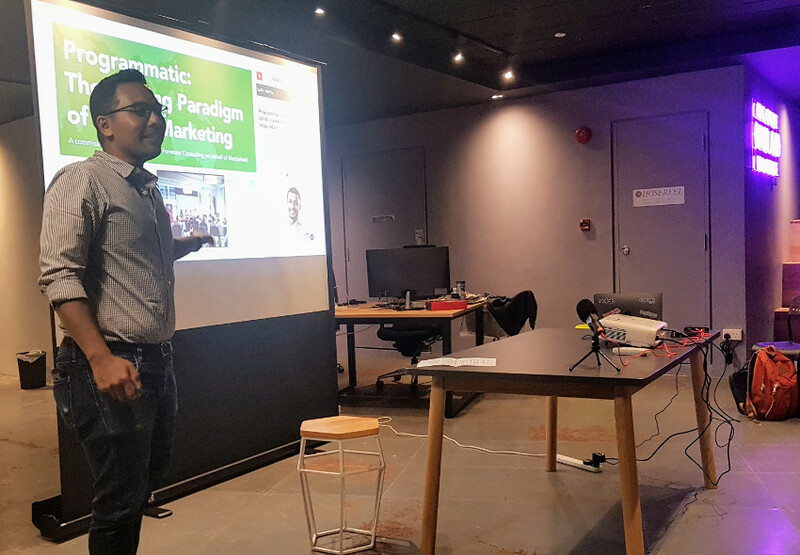 Nabayan shared examples of product development blunders ( remember Windows 8? ) and emphasised the importance of research and digging deep into customer needs, which can lead to discovering new markets and creating more revenue streams for companies. Isman talked about how traditional big bang marketing campaigns and top-down management practices are becoming obsolete in today’s dynamic, VUCA (volatile, uncertain, complex, and ambiguous) world. He also shared some Agile concepts, with examples from various industries and his personal life, to illustrate their benefits and effectiveness. Michelle wears different hats in her workplace: she heads up Digital Services and Engagement, she’s the product owner for a mobile app and website, and she’s also helping to drive the adoption of Agile in the organisation. 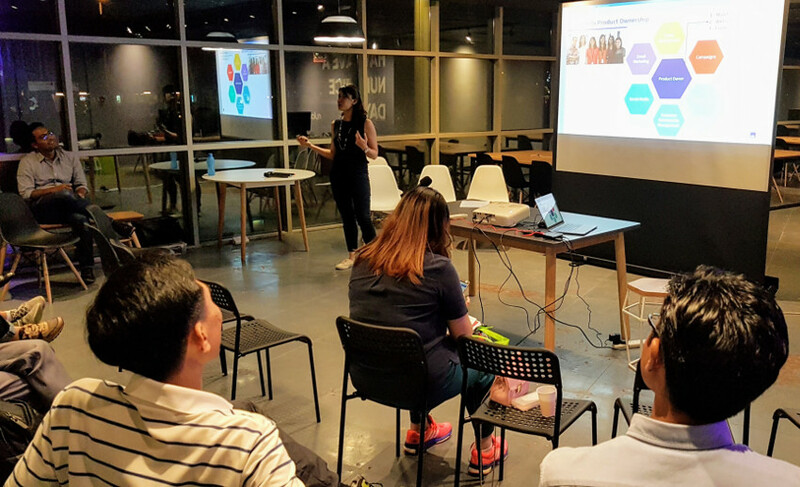 In her talk, she shared about her product owner experience, the setup of their digital team that practises Agile, challenges that came up, and lessons learnt. the speakers and attendees continued to have a session of drinks and snacks, and members were seen deep in conversation and some exchanged contacts. All in, our cosy crowd came away with something useful that night. We would like to thank our generous speakers (Nabayan, Isman and Michelle) for sharing their valuable ideas and experience, as well as everyone who joined us. If you’re interested to attend our future events in Singapore, please follow our Facebook page for updates, or better yet, become a Nulab member to get updates and free use of NuSpace. Find out more here! See you at our next Nulab #DrinkingCode. Cheers!